Welcome to Russian Bride Guide ! My name is Elena Korosteleva. On the Russian Bride Guide site, presented in association with A Foreign Affair, I will try to give answers to all possible questions and mention the situations that can give trouble to American men and international couples. Information you may need for dating Russian Women and how to find good Dating agencies. How to date Russian Women and about Russian Romance Tours. You can read real life stores from real people who were in Russia and from Russian brides. Also you will find information about Russia, Russian history, Russian culture and traditions, Russian holidays. 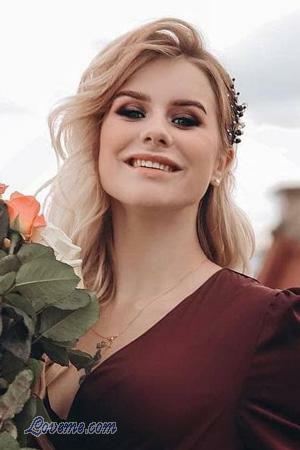 All about Russian Women, Russian Religion, Russian Travel tips and advice to travel in Russia, Russian travel visa, Russian hotels information, fiance visa and immigration process for Russian Bride. Information about Russian scam and how to Avoid Russian dating Fraud. You can read about Russian regions, Russian Weather, Russian political structure. As well you can learn how to speak Russian and learn some Russian Love Words before you go to Russia and much more ! Russian Bride Live Telephone Forum ! I am a Russian woman who found her love and lifelong partner far away from home. For seven years I have been living in the United States of America with my loving husband Kenneth J. Agee and our little daughter Angela. We have wonderful loving family and very happy together. We find the secret and the way how to keep our love fire strong and our relationship powerful and happy in years. We know a lot of couples who are the same us we are. I really want to share my experience with everyone who has questions about Russia, Russian Women, dating agencies, about how to go in foreign country, how to find the right Russian Women and live happily after with Russian Women. What the problems you would meet in your relationship with Russian Bride and how avoid them or correct them and everything else you may experience on this way. I hope my site will be interesting and helpful for you. I constantly post new articles for deferent topics so don`t forget to came back and check it out time to time . Also you are welcome to send me your comments about my site. If you have some questions or if you have story to tell and want I post it on my site Russian Bride Guide , please send it to me ! I want to thank every one for visiting Russian Bride Guide ! FIRST RUSSIAN TOUR TO ST PETERSBURGNEW! Real Life story by Steve Bauer .His First Tours To Russia, St-Petersburg . Being a 38-year-old male who is fairly handsome and intelligent, I have dated many women in the United States and also have dated girls from Russia and Ukraine while attending college. I feel I am an average American with good values and morals. Here's an account of how an international romance developed from the perspective of both the man (Davis, an American) and the woman (Nadia, a Russian women). Russian women are very different, but most of them are very romantic and affectionate. Russian women are very feminine and family-oriented. They look for long-term, serious relationship with a man and expect him to be the head of the family..
Why Russian women join dating agencies? This is a very common question is age difference between a man and a woman good or bad and then its better to stop? Men and Women seek different goals in marital partners. How do I conquer a Russian woman's heart? Why Russian women join dating agencies. What do I know about marriage agencies? What do I need to know to visit Russia? What do I need to know when go on "A Romance Tour"? What life values does a Russian woman have? What are her priorities in family relations? Announcing A Live Telephone Forum to Answer YOUR questions about Foreign Women! Foreign Brides! Russian Bride Guide sponsored by A Foreign Affair's only live telephone discussion group as our panel answers your questions concerning Russian brides, immigration issues, cultural differences and Russian marriage services/Romance Tours.Answers your questions concerning Russian brides, Russian women, Latin women, Asian women immigration issues, cultural differences and Russian marriage services/Romance Tours. Our panel will include Jones, Immigration Attorney and Vice Chairperson of the Immigration section of the State Bar of Arizona, John Adams, President of A Foreign Affair, past Romance Tour clients and real Russian ladies who have married American men and are now living in the USA. You will be joined by up to 50 callers from around the world for an hour of informative, current and important information for anyone considering meeting and marrying a foreign woman. Please join us every Monday evening from 9PM to 10PM Eastern Time and Thursday evening from 11PM to 12AM, Eastern Time. Participation is easy and FREE (normal long distance charges will apply). Simply call 1-404-920-6610 and when prompted enter conference code 935905# Once you have joined the conference simply press *1 to join the conversation! How to help your Russian fiancee get adapted to life in America. How to help your Russian fiancee overcome nostalgia. How to overcome cultural shock. What problems the couple can run into and how to avert them. How to get used to different cultural habits. Can't connect to the DB!